Rocketmine, a subsidiary of the listed Delta Drone Group, is Africa's leading premier Drone Data Service Provider. Employ the latest Fit-for-purpose technology. Find out more about how our drone data solutions can assist you with your business needs? 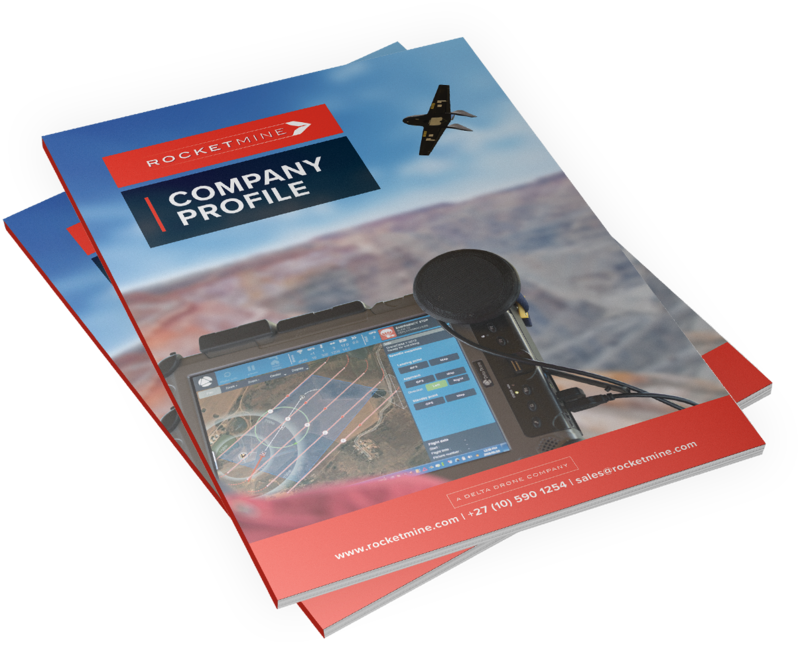 The Rocketmine Blast Monitoring and Fragmentations Analysis Drone Solution improves safety, reliability and accuracy of blasts. The blast can be captured, data processed, analysed and shared for effective decision making. Rocketmine drone technology allows for accurate and effective security and surveillance solutions. The drone solution provides a proactive and full situational awareness system allowing you to prevent the breach and protect your assets. Industrial inspections carried out by Rocketmine allow for increased accessibility and safety at a fraction of the cost of manned aircraft. The UAV drone solution provides real time information for quick decision making, avoiding accidents. Safety & Quality is on the forefront of all our operations. Rocketmine consistently seeks ways to improve its processes and procedures to maintain our zero incidents record. Our Safety & Quality departments share the same passion for excellence and this is evident in their consistent drive to endure rigorous external audits to consistently raise the bar. Interested in finding out more about how our drone data solutions can assist you with your business needs?